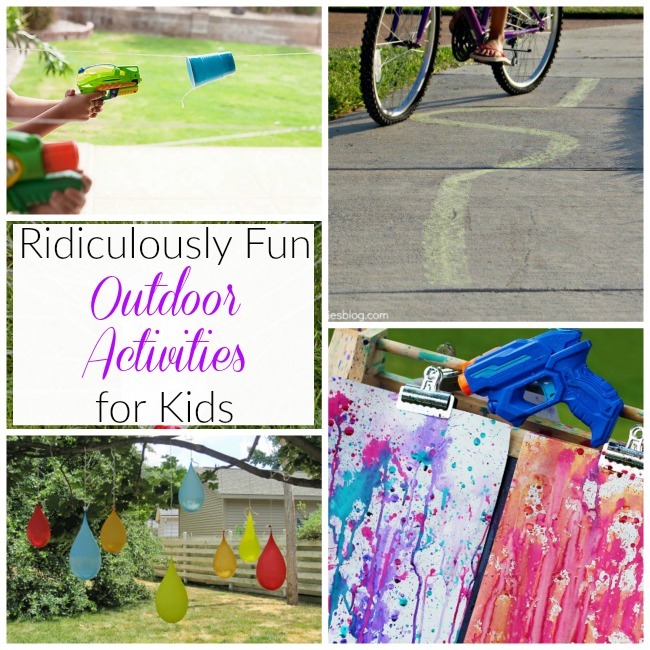 Ridiculously Fun Outdoor Games for Kids! The warm weather is here! Well, actually today it is not here – but when I got this post ready it was. So I will pretend. 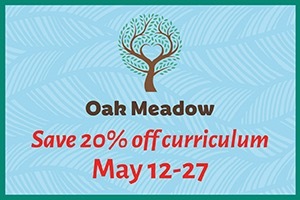 Because seriously – it’s MAY. It’s time to make up for the long cold winter where we spent way too much time inside. 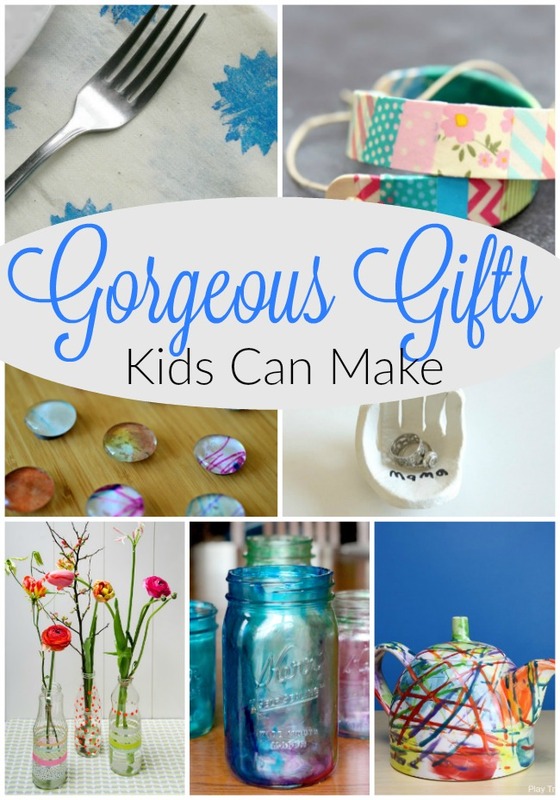 But it can be a little tricky getting back into the routine of getting out there, especially when my little ones are used to indoor activities. So I decided to find some awesome outdoor activities to get us all pumped about being out there again. 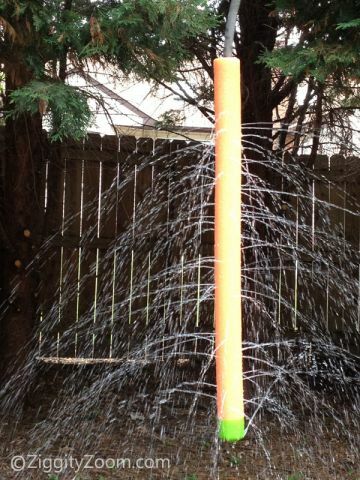 And boy are there ever some creative ideas out there! Here are some of the most ridiculously fun outdoor games for kids! Hula Hoop Tunnel – I love how simple this was to make! Use it for part of an obstacle course, for a game of soccer, or just for crawling through. 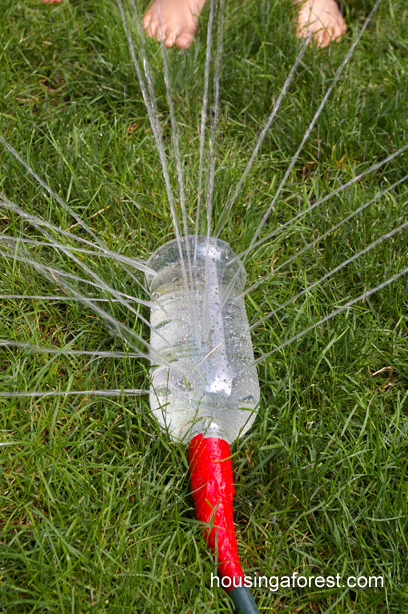 Build Your Own Sprinkler from Housing a Forest – Grab a drill and a bottle from the recycling bin. 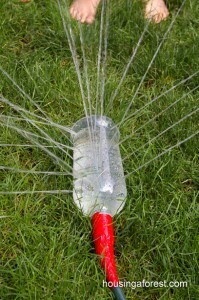 The kids will have fun helping to make this homemade sprinkler for hours of summer fun. 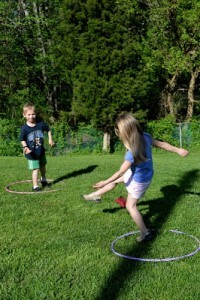 Animal Tag Game for Kids from The Inspired Treehouse – This version of tag has the kids acting like zoo animals, with various ideas for extending the game. Balloon Pinatas from Milk Allergy Mom – Such a fun summer game for the kids to play together! Squirt Gun Painting from Fireflies and Mud Pies – The kids will have a blast using squirt guns or water blasters to create art outside! 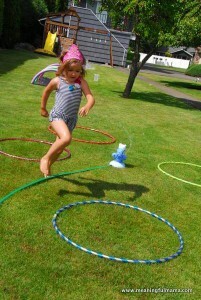 Hula Blockers from Come Together Kids – A couple of hula hoops and a bean bag are all that’s needed for this fun game! 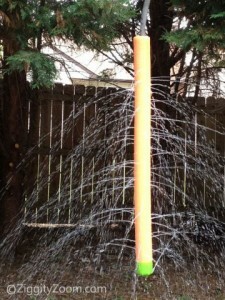 Pool Noodle Sprinkler from Ziggity Zoom – Use a pool noodle to make a sprinkler for the kids. 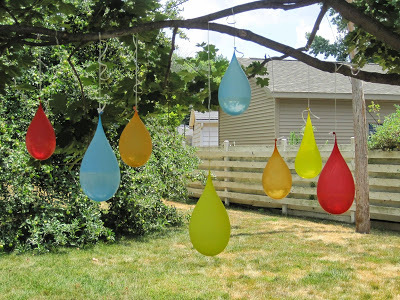 It can be left on the ground or hung up in a tree. 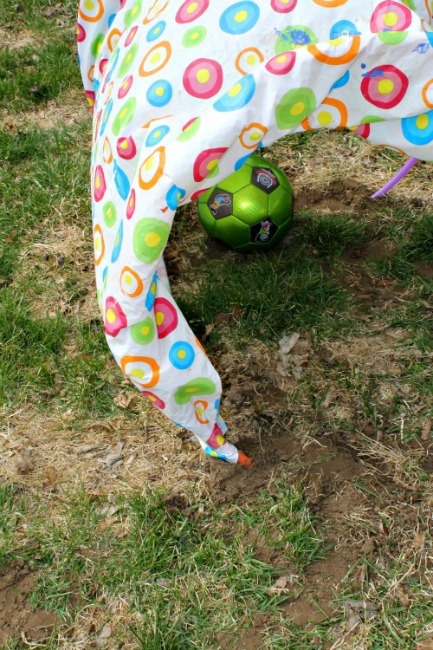 Frisbee Tic-Tac-Toe from A Turtle’s Life for Me – So easy to set up this giant game of tic-tac-toe! Sponge Bombs from Inner Child Fun – The kids can help put these sponge bombs together. 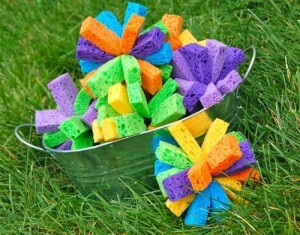 Then they get to wage a water fight with the sponges! Bowling with Coconuts from Fun-A-Day – Make your own “bowling pins” with the kids using a few simple materials. 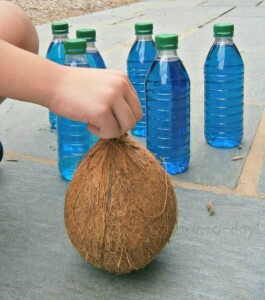 Then switch it up and use a coconut instead of a traditional bowling ball! 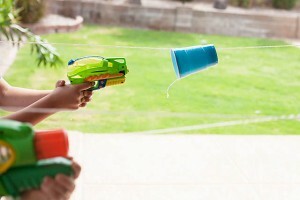 Water Fun Cup Races from All for the Boys – Race cups on a string using water guns. 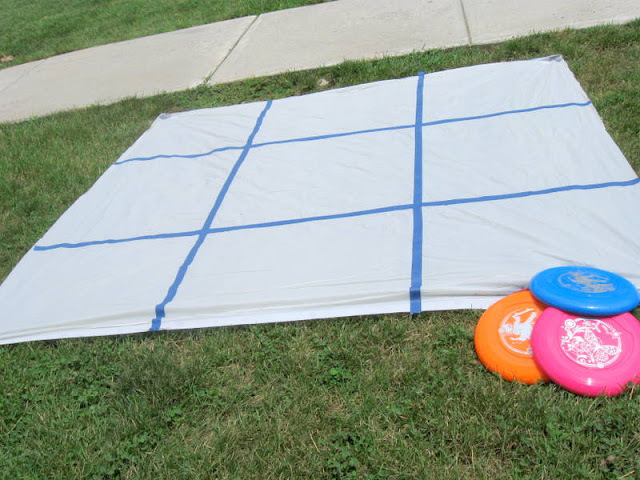 Simple to set up, but lets of opportunities for fun. Fun Bicycle Games from Kids Activities Blog – A few fun ideas for turning bike riding into silly games with friends. 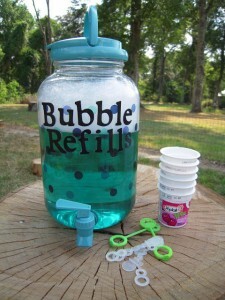 DIY Bubble Refill Station from La-La’s Home Daycare – Set up a spot for the children to grab their own bubble solution and wands. Then sit back and watch them have fun (or, better yet, join in)! Soap Boat Races from I Heart Nap Time – What a fun way to pass a warm day! 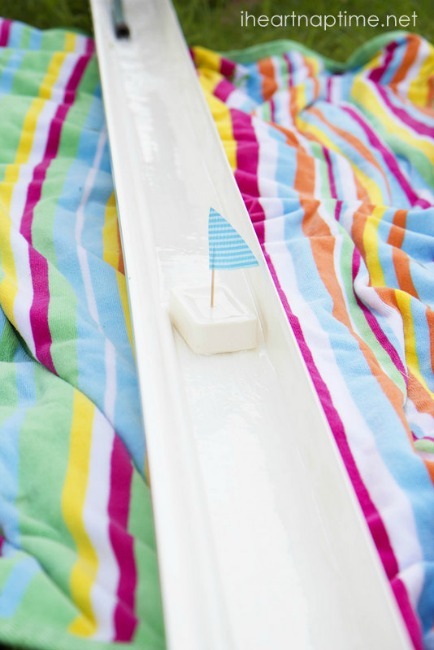 Let the kids make their own little flag for their soap boats, then get to racing! 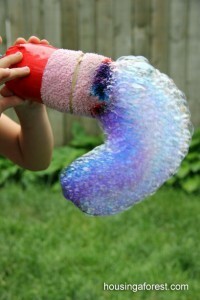 Rainbow Bubble Snakes from Housing a Forest – Kids can make these bubble snakes using some basic materials from around the house. Adding different colors to the bubble solution lets them explore color mixing, too. 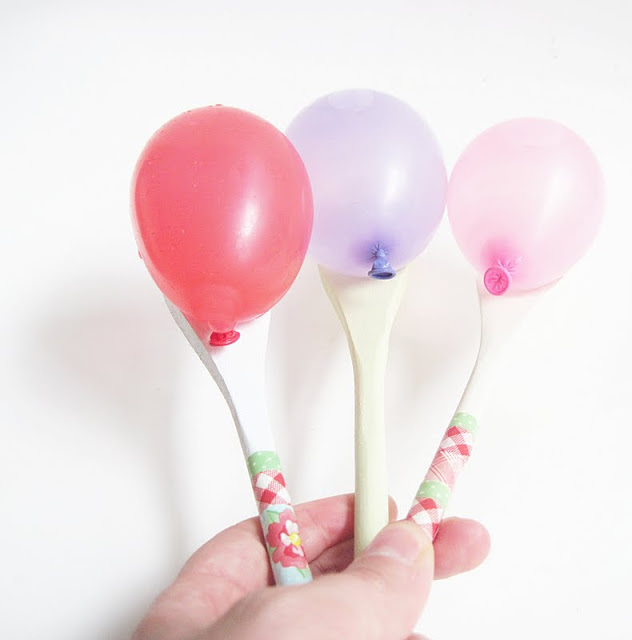 Water Balloon Spoon Races from Two Shades of Pink – See who can get the farthest while racing with water balloons on spoons! 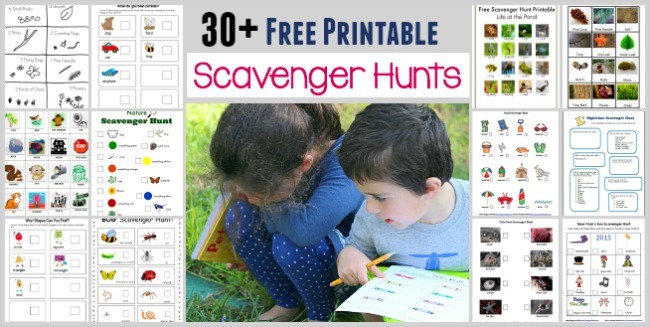 30+ Free Printable Scavenger Hunts for Kids from Buggy and Buddy – Challenge the kids to a scavenger hunt outside! 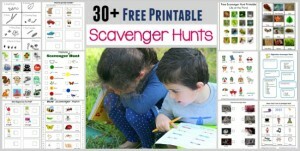 I love that there are so many different ideas for creating a hunt for the family. Water Obstacle Course from Meaningful Mama – Combine an obstacle course with water challenges and you get some seriously engaging fun outside! Sidewalk Simon from Toddler Approved – Play an active game of “Simon” (based on the electronic game from the 80s) using just sidewalk chalk! 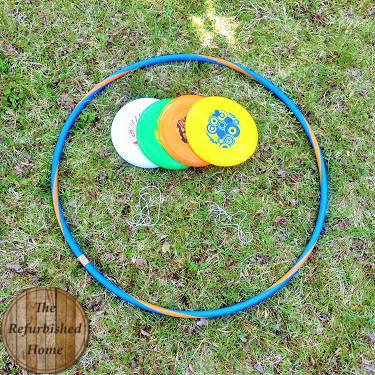 Hula Hoop Frisbee Game from The Refurbished Home – Incredibly simple to set up, and it allows for hours of fun! 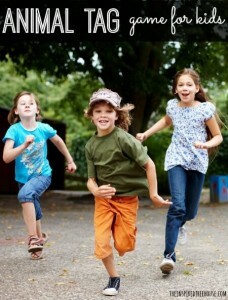 I laughed when the author mentioned that the dads had a go with it, too! I cannot wait for the warm weather to be here to stay. 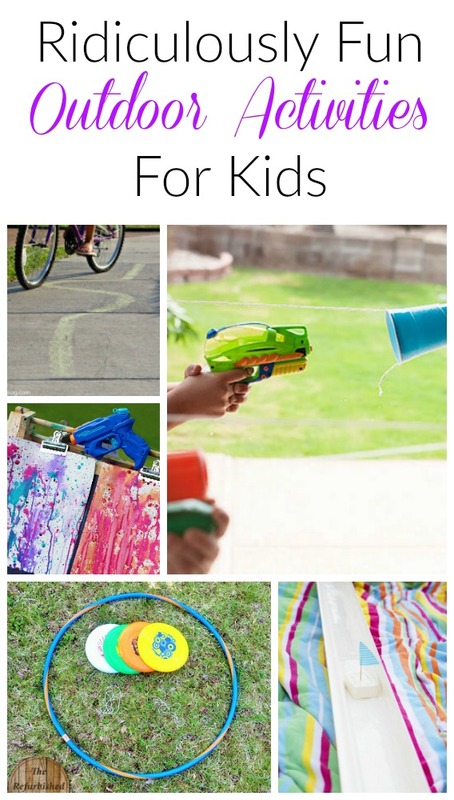 There are a ton of activities on here that my boys will go nuts over – and even better, ones that will get the whole family in on the fun! 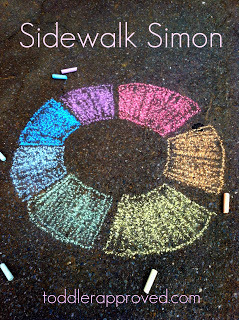 I hope you found an idea or two that will get your little ones excited about creating and playing outside. 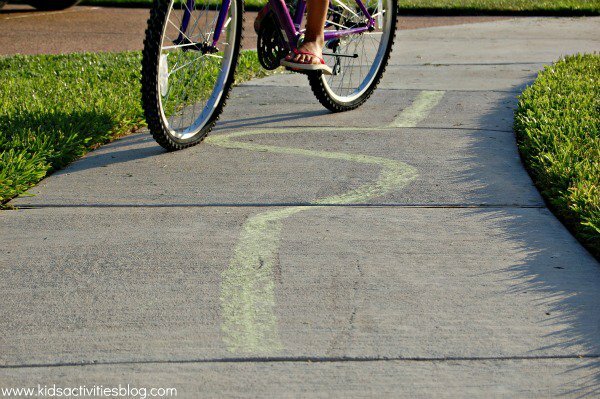 I often find it takes just a few days to get my kids feeling comfortable with staying outside for their days. 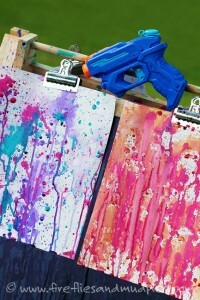 A few fun, planned activities like this help ease them right on in. Thank you for reading friends, I hope your week is off to a fabulous start. 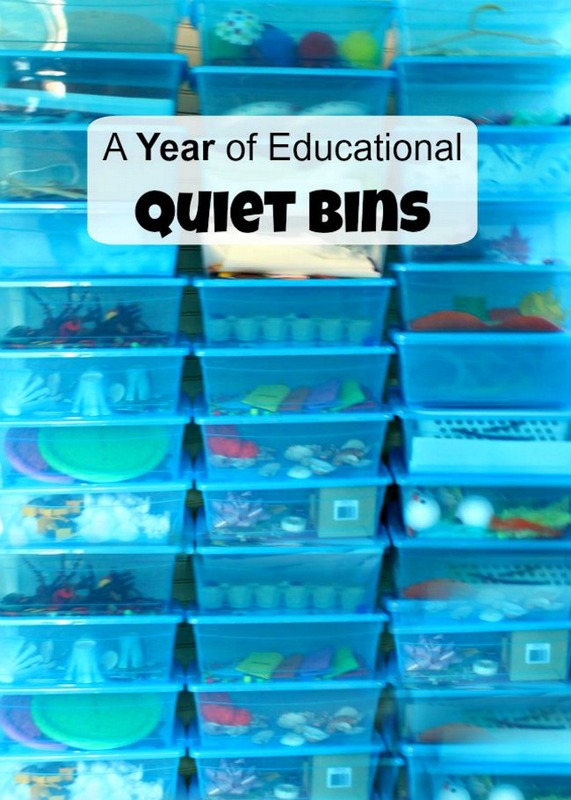 « The Heart of Learning GIVEAWAY x 3! !